I admit I didn’t think I’d ever see it when I started the Morning and Evening Thought posts every day (sort of), but alas, we’ve finally arrived at the end of this two year journey. It’s been quite a ride spanning quite bit of time not only going through these two books, but my own personal life as well. I’ve had some seasons where I simply was not able to make the posts available daily, but I did try as much as I could to make them every day. Some things were out of my hands, but by God’s good grace we have arrived. I want to thank all of you who subscribed to the Morning and Evening Thoughts devotionals and for sticking with me throughout it all. Your kind comments and encouragements have meant so much to me and have left me very humbled indeed. I am only so happy as to have been used to reach out to you all in your lives with Winslow’s work and hope that you have been encouraged and strengthened in your faith. My goal from day one here has been to spread the word about Winslow and his writing, but I have come to realize now after these two years that my most precious reward for all my work has been to bring a good word to those in need in your times of need. That is my greatest thing I take away with me. Since the Morning and Evening Thoughts books are now complete, there will be no more “daily” posts here from those two books. I will, however, continue to make posts here on a regular basis from Winslow’s body of work, so don’t write the Archive off just yet! If you have been subscribing to the Morning and Evening Thoughts only, than I encourage you to also subscribe to the regular blog feed here as well. What’s more, I have been very busy behind the scenes collecting more and more data about Winslow that I will be posting here as time permits and I have even been compiling a book of chapters from Winslow’s works that are very near and dear to my heart concerning the subjects he wrote most prolifically… suffering and trial. I hope to self publish that book soon and will keep everyone informed as I make progress. 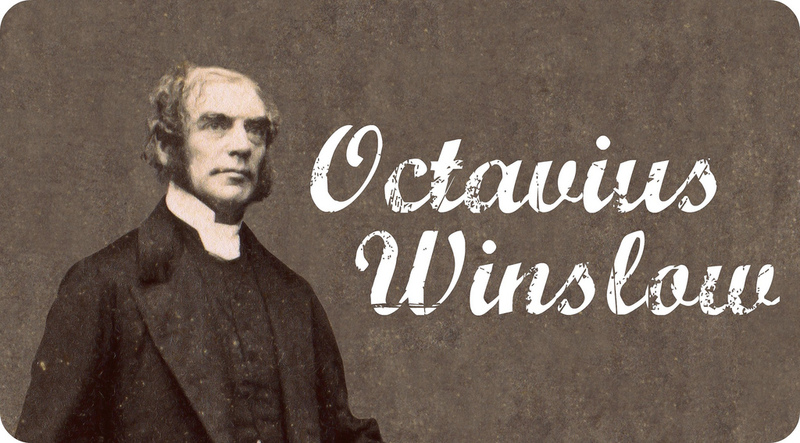 So again, thanks be to God to you all and for the life and work of our dear Octavius. It kind of snuck up on me, but according to my calendar, it was two years ago today the first post was made here at The Octavius Winslow Archive. Happy Birthday to……um, the archive! Many thanks to Tony Kummer of Devotional Christian to now featuring the archive on their ever expanding blogroll. Stop in and check them out! Morning Thoughts Completion At Last! Well, unbeknownst to me, as of July 17 of this year, we have finally gone through the entire Morning Thoughts book here on the website! I guess I fell asleep at the wheel and completely overshot the 1 year anniversary by 2 months! 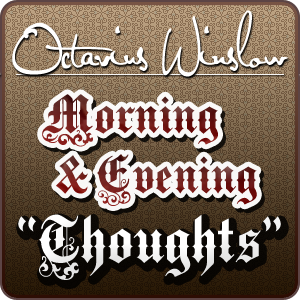 So now that we have gone through Morning Thoughts, we will now shift over to the Evening Thoughts book and will begin the daily posts here tomorrow morning. Many thanks to all for sticking with me through this little project (well actually it’s not so little…I’ve invested a ton of time in it) and hope you will stick around for the next year as we dive into the second book of the Winslow devotional set. 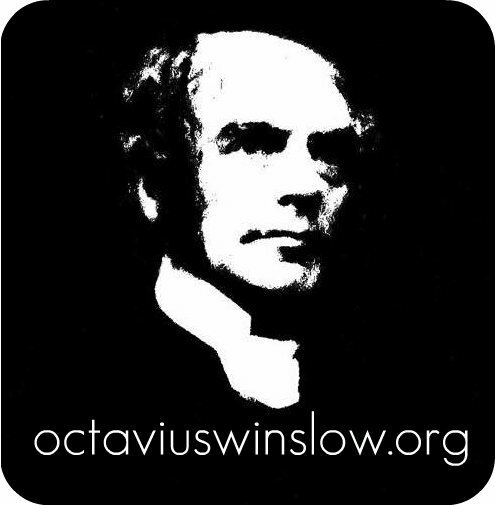 I’ve whipped up another blog badge for anyone who might be interested in using it on their own website or personal blog to help promote The Octavius Winslow Archive. To obtain the badge in various sizes, just click here and select the size that would work best for your needs. As always, I thank everyone one of you who has helped spread the word about this site and have directed others here! You are truly an encouragement to me! I’ve just added a new “Testimonials” page in the menu above. If you would like to add your own testimony as to how Winslow’s writings have encouraged and challenged you in your own walk, drop me a line and I’ll get you added! I have teamed up with Nick Uva of The Daily Spurgeon and Erik Kowalker of J.C. Ryle Quotes and have begun an online group entitled The Reformed Quotes Fellowship. 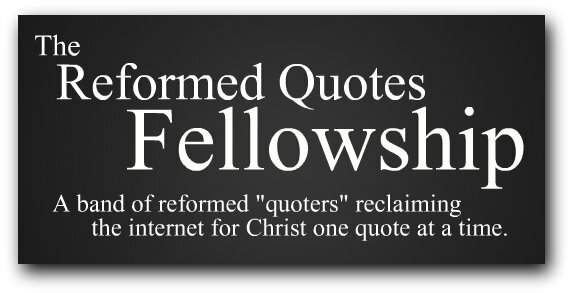 The Reformed Quotes Fellowship exists to bring together those of us throughout the internet who have created and administer websites, blogs, and other media outlets that are dedicated to routinely posting past quotes from writers, preachers, teachers, and scholastics of the reformed faith. The Fellowship is simply a gathering of such like minded people who wish to see the fame of Christ spread throughout the internet by the use of God glorifying, cross centered, gospel rich, and unashamedly reformed quotes from saints of the past and present. 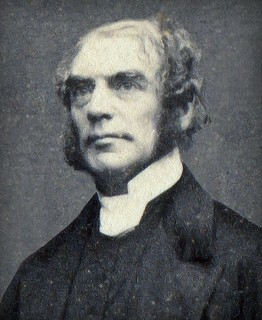 This Fellowship also serves to encourage, strengthen, and edify her members who have so chosen to establish these sites. By coming together in the common bond of Christ our Savior, we shall show Christ honoring unity as we stand together to reclaim the dark recesses of the internet to the glory of God our Father and his Son the Lord Jesus Christ. If you too have a website, blog, Facebook fanpage, or Twitter account that you use to post theologically reformed quotes on a routine basis, wouldn’t you please consider standing with us? When I first sat down to figure out what exactly my goals were for this site, one of my objectives was to establish a Wikipedia page dedicated to Winslow. After MUCH time trying to figure out how to make a wiki entry (no small task I assure you), it is finally done! Please stop in and check it out! I really wanted to share this testimony with the community to praise God for using the feeble and weak efforts of men to bring glory to Himself and call sinners from darkness. It is from Gavin MacGregor who left a brief comment on one of the Facebook posts. I hope it encourages you as much as it did me! The Lord saved me out my sin on the afternoon of Monday 23rd August 2010. I had previously been a living the life of a religious hypocrite claiming to be a Christian born again of the Spirit of God when in reality I was still an unregenerate lost man enslaved to and loving my sins. I had spent about 19 years of my life claiming a Christian faith, but had not even understood what the saving Gospel of Jesus Christ was for the vast majority of that time. At one point I even became a Roman Catholic and joined a monastery, living as a Benedictine monk for 3 years, mistakenly thinking that God would surely reward me with his love by my performing such a work of devotion. But, praise the Lord, he led me to a solid biblical church called ‘Puritan Fellowship’ here in Manchester England about a year and a half ago and since then I have had the privelege of hearing the Gospel regularly. During this time I had thought myself to be saved, up until about 4 months ago when I was really getting pricked in my conscience regarding my private lifestyle not equating to my public confession of Faith. 2 months ago I confessed my unregenerate ‘Lost’ state to my Pastor, who was really supportive and strongly pointed me to look and see my Salvation in Christ alone, no more works, no more attempting to clean myself up. But soon I pulled out of all contact with the Fellowship, as I really felt that God was not going to save a foul sinner and hypocrite like me. As the Gospel is the power unto Salvation for all who believe, I decided to return to Fellowship, crying out to the Lord to have mercy on me. But still I could not get my head around how someone like me could just come to God as I am. At this stage I still could’nt just look to Jesus alone for my rest in Salvation, I was still looking to do something to prove myself worthy to him. On Monday 23rd August I recieved the Octavius Winslow devotion by email from yourself titled with the scripture ‘God is Love’. I didn’t actually settle down to read this devotion until the afternoon, but it was delivered directly to my heart by the agency of Jesus’s own Holy Spirit. It was these following words from our Brother Winslow that revealed Jesus in His mercy, waiting to receive me and I just looked upon my Jesus who lived, died and was resurrected for me and I was no longer blinded, I could now see my Salvation was complete and beyond doubt, I, like a child sitting at it’s father’s feet, trusted in Him without reserve. I was saved, safe and at last at peace, I was my Saviour’s and my Saviour was mine! May God be praised for the works of mercy he is shedding abroad through your faithful obedient ministry brother. I’ve whipped up a few offerings over at Cafepress.com for “Winslow Wear”….as it were. You can see the shop here. I don’t make a penny off of any sales, so it’s a direct purchase from Cafepress.